Have any amount of interest of events whether it be in people, technology, planning, social media, etc. Want feedback about your ideas, product, or service. Want to find new clients. Interact with your current customers. Want to be hired by someone. 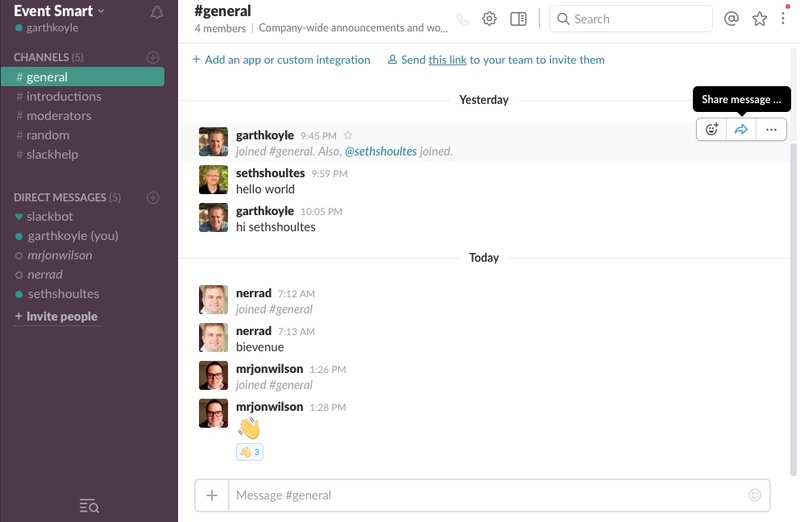 If you haven’t used Slack before, we think you’ll like it. Like any civil society, we do have a code of conduct and a few rules to be nice. I need help with Event Espresso! Please note that this is not an official support channel for Event Espresso. You can ask for help from the Event Espresso community, but the best place to get official support for Event Espresso is https://eventespresso.com/support/ or by contacting Event Espresso directly. For starters, Slack’s Help Center is really great. Once you’ve joined eventsmart.slack.com, there is a #slackhelp channel to help members of the community.